PHOENIX (Feb. 5, 2009) — Fans who want to experience the weeklong festival of events that surround the 2009 NBA All-Star Game can find great deals on last-minute accommodations if they know where to look. 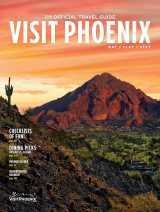 The Greater Phoenix Convention & Visitors Bureau has created a one-stop reservation Web page, www.visitphoenix.com/allstar, where select hotels and resorts have posted special rates and packages for All-Star week (Feb. 12-16). Rates are as low as $169, and the first 100 people to book a room at one of the featured hotels will receive two tickets to the T-Mobile Rookie Challenge & Youth Jam on Feb. 13 and two passes to the NBA All-Star Jam Session presented by Adidas. “If you’re looking for prime hotel rates in Greater Phoenix for the NBA’s marquee event, this Web site is where you’ll find them,” said Doug MacKenzie, spokesperson for the Greater Phoenix CVB. MacKenzie added that this NBA All-Star week promises to be more fan-friendly than ever. The convention center is the site of All-Star Jam Session, the fan experience the NBA bills as the “world’s largest interactive basketball theme park.” Jam Session features more than 10 acres of interactive games and displays, and its Center Court will showcase the McDonald’s NBA All-Star Celebrity Game on Feb. 13 and All-Star team practice sessions on Feb. 14. Tickets to Jam Session are $20 for adults and $12 for children ages 3-12. US Airways Center, home of the Phoenix Suns, will play host to Rookie Challenge & Youth Jam, All-Star Saturday Night and the 58th All-Star Game itself. All-Star Saturday Night consists of the Shooting Stars competition, PlayStation Skills Challenge, Foot Locker Three-Point Shootout and Sprite Slam Dunk competition. Sunday’s star-studded game will tip off at 6 p.m. MST. Both US Airways Center and the Phoenix Convention Center are located in the heart of downtown Phoenix, on the city’s new METRO Light Rail line.